The point in the land of Ithilien where the road running northward from the Harad was crossed by the east-west road from Osgiliath to Minas Ithil (later Minas Morgul). Although originally built and maintained by the Men of Gondor, the Cross-roads had effectively fallen under the control of Sauron at the time of the War of the Ring. The road running northward through Ithilien eventually reached the Morannon, which we know existed during the Second Age, so this north-south road may very well have existed long before the founding of Gondor. 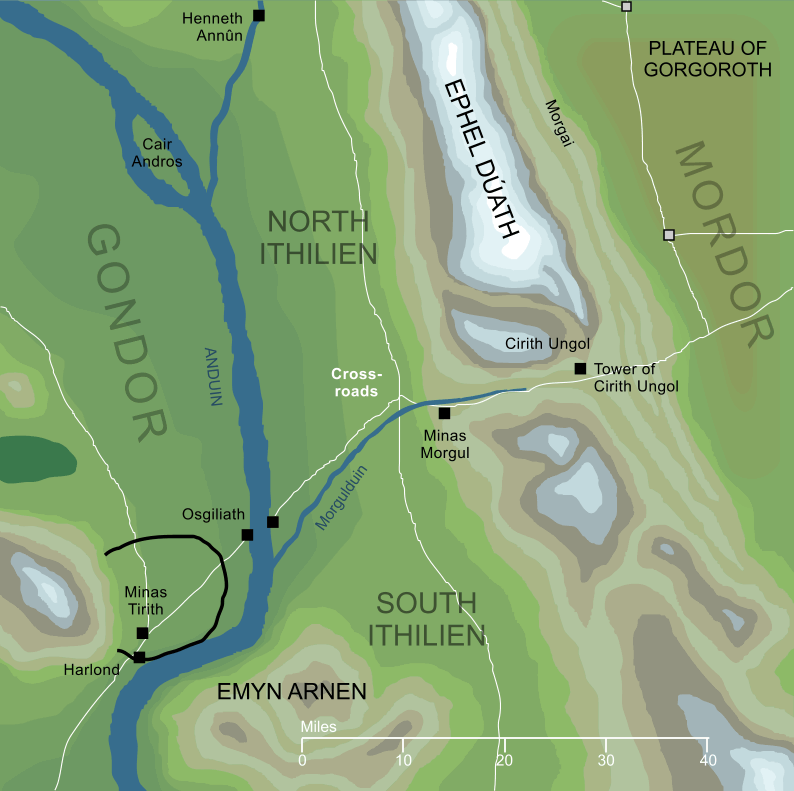 Neither Osgiliath nor Minas Ithil, however, appeared until the foundation of Gondor, and so the road between them was presumably laid at this time. On that assumption, the Cross-roads formed by the road running west to east would also date from the early days of the South-kingdom. Original content © copyright Mark Fisher 1998, 2001, 2018-2019. All rights reserved. For conditions of reuse, see the Site FAQ.